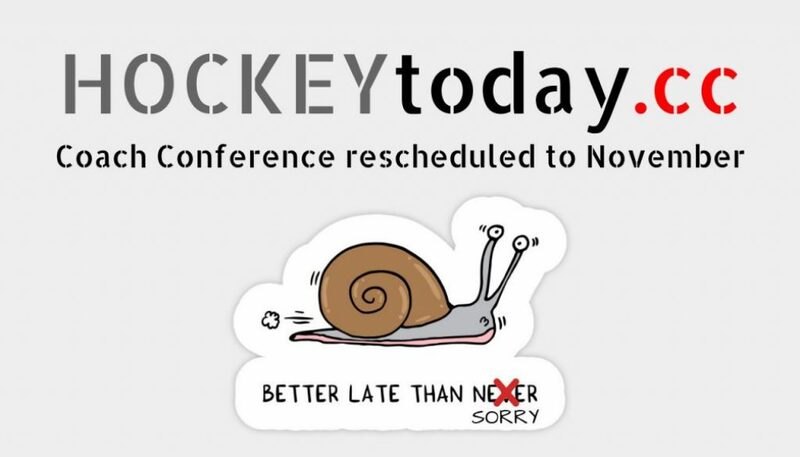 It is because we choose to bring you quality that we decided to postpone our next Coach Conference. Mixing up popular sayings we are saying: "better late than sorry". Originally scheduled for 2018-06-22 at the eve of the final Champions Trophy, we moved it to the 23rd of November so we can bring you the quality you can can expect from us. The concept remains the same... an inspirational keynote delivered by the very top and several workshops on specific detailed coaching topics from coaches all over the world. Also we hope to bring you a top notch paneltalk as well this time... Because we think it is a good thing to learn from other (hockey) cultures and to #sharetheknowledge !